Are you using videos to market your business? Are you wondering how to get started? Do you need some ideas to improve your videos? We asked our writers to share their best tips on how to make video marketing easy for you. My biggest tip is to try video out, see if it works for you. I resisted video for so long due to my shyness, but when I did put some videos out there my audience reacted so warmly (and forgiving of my goofs) that I wish I had tried sooner. You don’t need professional gear, expert editing skills and software, and you don’t need a fancy script. You don’t even need to be super-confident in front of the camera. Just make a good point and deliver content people can use and enjoy. There is no time like the present. Get started! Chris Garrett, author of the popular blog chrisg.com. If you’re shy about videos and not ready to put your face (or voice) on camera, there are still options! My particular favorite is using Google Search Stories to show viewers your best online properties by simply searching for them. You can see mine below that highlights my blog and guest posting contributions. If you’re having a hard time getting particular results to show up, use some more advanced search queries. For example, one of mine was Kristi Hines site: socialmediaexaminer.com, which showed results with just my posts here on Social Media Examiner. You can get really creative too, incorporating results from Google image, maps, news, blog, product and book search to feature photography, a business location, blog posts, stuff you sell and books you have written! Kristi Hines, author of the popular blog Kikolani. Find your internal cheerleader to be the person you put in front of the camera. Your marketing and sales professionals are not always the most likely candidates to be the star of your company/brand’s videos. Consider the person in the office who encourages and has a smile for everyone, as his/her natural exuberance may be just the on-camera talent you’re looking for! Stephanie Gehman is marketing manager for Harrisburg International Airport in Pennsylvania. Video can seem like just another challenge to overcome, but I see a major increase in my business and brand awareness all from the power of video. There are a number of tips I could share, but the best one is easy. Simply put, it’s important to start publishing video on a consistent basis. Don’t worry about what camera to use (I use the reverse camera on my iPhone often) and don’t worry about editing it to make it look perfect (the “mess-ups” will make you look more genuine and real) as the most important thing is to simply get your message out there on video. Start with shorter 1- to 3-minute videos that educate your audience, then as you get more comfortable, you can make them longer or do more editing, but for now, the best thing you can do is take action and produce videos on a consistent basis. Lewis Howes, author of a popular blog and soon-to-be-launched Video Traffic Academy. You want to be as transparent and authentic as you can be when expressing yourself on video; talk with a naked tongue. I have generated business through video by communicating passionately and honestly on the topic of social media marketing. I have touched on topics and tactics that other people with whom I operate don’t discuss, like the successful use of social bookmarking platforms like Digg, Reddit and StumbleUpon. Success with such platforms is perceived as black magic by most social media marketers and strategists, but I have communicated how I have been successful in detail through video. The other critical component is the marketing of your videos. I have developed relationships by helping other bloggers and webmasters in my niche, who have allowed me to post guest contributions on their websites. This way, a proportion of people who visit another website will visit mine, and a proportion of people who visit my website linked from the guest post will subscribe to my email list, RSS feed, Twitter, YouTube, Digg and Facebook digital assets. Once you have built a community of engaged friends with whom you keep in touch through social channels, some of these people will help you promote your content by sharing it on social media, buying your products or services, or referring you to somebody who will buy your products or services. Neal Rodriguez is an online marketer who teaches companies how to use social media marketing. My #1 tip for video marketing is to include other people in some way. And these folks will become your best marketers. Let me explain. There is something powerful about video unlike any other medium when it comes to connecting with our core. Remember the Old Spice guy? The audience flipped out because he was responding to people on Twitter via video. If he had done it in text, it would not have been nearly as effective or interesting. What are some ways you can implement the power of others? Try shout-outs in your videos to other people. A little love. People love hearing about themselves (we all have a little ego, right?). Interviews are another great way to bring others into your videos. Remember, the more interesting and unique your interview is, the more likely your guest will share it with his or her community (especially if your subject is interviewed often). These are simple ideas you can use right away. One more piece of simple advice: Never try to force others to share your videos (even when you mention or interview them). It gives off that “ewww” feeling. A better approach? Try simply mentioning to them that they are in the video or thank them for coming on as your guest. Good things will happen. Trust me. David Garland, founder of The Rise To The Top. Although I am fairly new to the topic of video marketing, the results we’ve achieved so far are amazing. The lesson I regard as the most important is that videos are a fantastic opportunity to create compelling content collaboratively. This worked well for us for many reasons. If, for example, you are doing an interview, you can tell a story and create content in a very personalized way. Sharing your experience or thoughts in a conversation with someone else makes it a lot more fun to listen to. Another reason is you will get everyone participating to actively promote this content. In my case, my interview partner did a hell of a job reaching out to people in his niche with me doing the same. The results were that the video posting was the most read post of the month, in all measures of pageviews, sharings and comments. Go to trade shows and conduct video interviews of a handful of experts. You have them all in one place! You may not think this is a video marketing tip, but getting experts in your industry on camera is a great form of marketing. It allows you to meet that expert and creates great content. Often the expert will link back to your video interview, driving more traffic to your site. Video tutorials are a great way to create content that is going to be searched for, consumed and shared on the web. So many people love the visual, step-by-step learning that video can give them. If you have a computer and a webcam, you can easily create video tutorials that include your screen. Camtasia is my favorite paid version but is a bit expensive at $299 (Mac users get a nice price break of $99). The investment is worthwhile because the features and editing incorporated into the product are superb! You can easily zoom in and zoom out to highlight areas of your screen and it does have capability of a video inset. 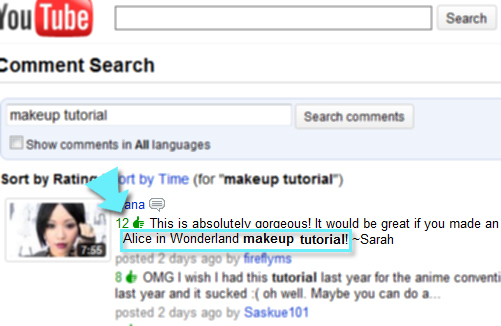 Once I do a video tutorial, I upload it to YouTube because so many people search for good how-to material on YouTube. Then I embed it into my blog post so it can be found both on search engines through my blog and through YouTube. Andrea Vahl is a social media coach, co-author of Facebook Marketing All-in-One for Dummies and the Facebook community manager for Social Media Examiner. 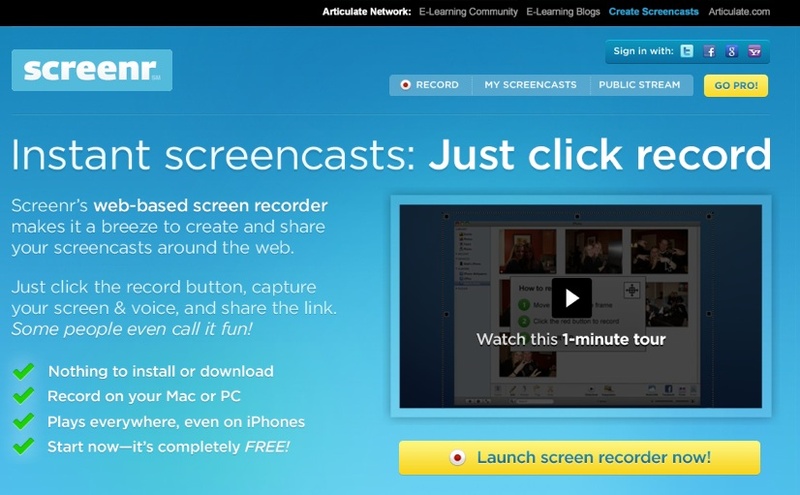 My tip for startups launching software products is to use Screenr for screencasts. Professional marketing videos sell your vision, but screencasts demonstrate how to use your product by focusing on the interface. Screenr screencasts are easy and free to make, they engage beta testers or trial users and help people better understand what your product is for and why they should try it. Janet Aronica, director of marketing and community for oneforty and author of a social media blog. When consumers create a video (either to highlight your product or criticize it), it is a perfect opportunity to engage in the conversation and either thank them or turn them around or highlight some of the best features of your product. In either case, your quick response might attract more traffic and create more conversations than the original video itself, as well as offer you an opportunity for creating yet another advocate. But you have to be agile and open to being creative and innovative in the way you provide your response. Absolutely brilliant marketing! Agile and innovative and connects with the customers on emotional level. Ekaterina Walter, a social media strategist at Intel. Crowdsourced marketing made a big splash when Doritos launched its ground-breaking Crash the Super Bowl campaign, which I had the pleasure to be a part of. Since then, many marketers have tried to emulate this through video-based competitions of their own. Even if consumers aren’t creating commercials for you, by running a video contest you can get access to content that you can use in your video marketing. A successful video contest requires planning and execution, but when the effort is put in, the results can be quite rewarding. How can you take advantage of this abundance of user-generated content (UGC) and create a social video marketing campaign? One way is to set up and run a video contest. Not only is the contest format a great way to get UGC, it’s also a great way to make the campaign social as participants share submissions they like and then vote for the winner. The majority of folks who will participate in your video contest are amateurs, so put solid guidelines in place to help participants produce a better-quality product. This is key to making your video contest a success. Richard Spiegel, founder and CEO of Crowd Together. One-off videos are great, but the key to attracting a larger audience is to create series of several videos that deal with certain topics. Plan each video to follow on from the next, in a logical manner. When you do this, you encourage viewers to watch one video after the next, which means more views and more clicks to your business website. This is especially effective for educational videos in specific niche markets. It also gives you the opportunity to promote the entire series, instead of a single video. People will spend hours watching your videos, like they watch series on television—and all because you’ve made the effort to package them like this! Carla Dewing of Contrast Media. To keep the momentum going in your business you need a growing list of people you can regularly reach out to via email. To help grow your list, create videos to encourage your prospects to give you their name and email in exchange for something you will give them. You can give away an eBook, an article (tips, strategies and how-to are always popular), a tutorial video, a free consultation, a type of assessment, etc. Figure out what your prospects would find most valuable and create a giveaway around that. Embed your video on a page with an opt-in form. To create the opt-in form you can use services such as AWeber, Constant Contact or Mail Chimp. For an example of a video opt-in page, check out this page here. To drive traffic to your video opt-in page, post a link to it on Facebook, Twitter, LinkedIn and your other social networks. The key is to make sure to tell your fans and followers what’s in it for them! By going the extra mile and creating a short video to entice your visitors to give you their name and email in exchange for a valuable giveaway, you are dramatically increasing your chances they will sign up and get on your list. Amy Porterfield, a social media strategy consultant and co-author of Facebook Marketing All-in-One for Dummies. Shoot impromptu, personal videos to spark deeper engagement on your Facebook fan page. Keep the videos short in length (under 90 seconds) and don’t worry about getting it perfect. Usually the first take is just fine! When you look into the lens of the camera and you talk directly to your fans as if you’re in a room with them, this creates more intimacy and connection and builds better relationships with your fans. Mari Smith, a widely recognized social media speaker and trainer and coauthor of Facebook Marketing: An Hour a Day. 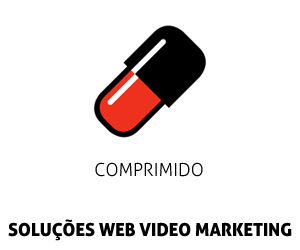 Our best video marketing tip is simply to be the first. Ensure you can adapt quickly to relevant news and topics in your niche and streamline the video-making process to help you respond quickly. When Google+ launched, we dropped everything to make one of the first videos. It received over 5,000 views in 48 hours and that’s for an account which usually only gets 100 views per video. Although it helped that we could promote the video through our Twitter and Facebook accounts, this paled in comparison to the traffic arriving directly via YouTube. Although lots more videos have been made since, because the video was one of the first it’s amassed a good number of views and Likes which are holding it above the other clips. Mike Essex, a search specialist for digital marketing agency Koozai. Use YouTube Comment Search (within TestTube project) that works as a real-time tool for searching through most recent video comments. The YouTube Comment Search tool provides a great insight into what viewers are most interested in. Use YouTube Suggest to get a glimpse into users’ video search behavior. 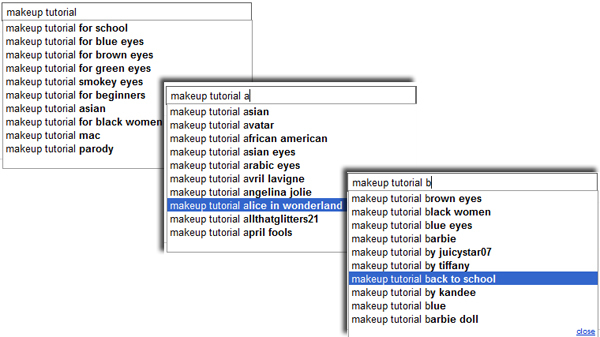 YouTube Suggest works wonders for expanding your initial search query and giving you more ideas on what to search for. Use Wildcard * search: It prompts the search engine to insert any words in place for it. It may trigger quite unexpected results, help you to brainstorm and even change the initial focus of your research. For example, “how to * hair” will find “How to cut your hair,” “How to curl your hair,” “How to: Avocado Hair Mask Tutorial” and many other interesting tutorials. Use Synonym ~ search: The ~ operator (without the space) prompts the search engines to use various synonyms of the word. It can thus help you come up with various neighboring topics and other ways people describe your main focus. For example, “~money” will also find “cash,” “financial,” etc. It all comes down how creative you are and how deep you are able to dig! Ann Smarty, owner of MyBlogGuest.com. Grab the attention of your viewers by jumping right into the action. Introductions of any kind undermine the purpose of video, which is to communicate a message through action. Captivate the attention of your viewers by planning an opening scene as if it were a major motion picture. The best videos will look and feel like a spontaneous conversation. However, what separates a good business video from a great one are little bits of information that must be planned and written in advance. It’s a smart idea to start every video with a greeting, your name and your business name. It’s friendly and it tells people who you are. The way you end each video is also important. The ending gives you another chance to mention your business name along with other information that would help a potential customer find you, such as your address and city. It’s also a great place to add your business tag line. Write out these pieces in advance, and practice saying them until they are completely natural and you can say them without thinking about it. Charlene Kingston, author of the Social Media DIY Workshop. One of my favorite video marketing tips has to do with the five useful ingredients commonly used in TedTalks: music; interviews; and showing before, during and after scenes from a live event. You can see how wonderfully they all work together in the video “Behind the TedTalk 2010″ and how much they add to a video. How? Do something completely unpredictable. In this fun video by the Rockstar Video Game, a baby sitting on the sofa and watching his scruffy dad playing Rockstar reaches for the game’s guitar and proceeds to play an amazing guitar riff on it in front of his amazed parents. This video ad is particularly delightful because it winks at the idea of a random home video gone viral. Corning Glass created the viral success “A Day Made of Glass” with clever, unexpected visual effects on everyday objects, showing just how much they contribute to modern living. It’s set with driving music to carry the idea forward. Lori Randall, online marketing strategist. You can make a great-looking video very cheaply and easily but the one thing you do want to spend a few bucks on is the audio equipment. If you are using a camera with built-in audio, make sure you are within about 3 feet of the mic so we can hear what you have to say. Test it, and make any adjustments. You can be forgiven for bad lighting, but never for bad sound. If the viewer can’t hear your message, he hits the stop button. Linda Coles of Blue Banana. Use YouTube Annotations to direct traffic to other videos, your YouTube channel or a call to action to subscribe to your channel. This is also very helpful if you made a popular video that now has out-of-date information. Just add an annotation to direct viewers to the new, updated video without losing any of your visibility. For any new tool or strategy you test as part of your social media marketing campaign, there is no better way to learn from the experience than through follow-up. Rather than doing all the hard work getting your video made and promoting it, and thinking the journey is over, taking action after posting your video online will give you an idea of the reception it is getting, and whether the venture has been successful. Monitor comments and then reply. Develop a conversation about your brand, your industry, your team and your products, as well as the video specifically. Measure the statistics. If your video includes links to your website, or a call to action for viewers, monitor the increase of sales, website visits or blog subscribers you receive. Answer questions. If viewers want to debate the topic you discuss in your video, or ask for more information, allow them to continue the conversation with you. Take feedback on board. Listen to what industry leaders, customers and your own staff say about your video, and make notes to use next time. Try again. Using the information you gain, develop a more successful plan for next time. By taking on board feedback and monitoring which areas of your video marketing strategy worked each time, your videos will become more engaged with your target customers and hopefully, more successful overall! The most underutilized space on YouTube is the description below the video where you can describe your service and put in your URL that can be clicked through. Add a call to action at the end of the video; for example, “If you liked this video, please click through my link below to find more information.” This is a great way to increase engagement. Also add the Annotations feature from YouTube to create links in the videos. This is very powerful. Use captions and subtitles, not just for people who need them, but they also anchor your message if the words are there to read. In fact, YouTube has an underutilized feature that will allow the video to be translated for multi-languages. Using Google Trends, you can find the non-U.S. areas that have high interest in your topic. Any video you upload to YouTube should also be uploaded to Facebook. The embed code from Facebook should be used in your blog or website because if the viewer is not a fan of your Facebook page, he or she can click on video and it drops the user to your page to Like you. This is very powerful and provided a major increase in fans at my page and my client’s page. Lori Taylor, an award-winning marketing veteran. Make sure that the search engines can find your videos. The search engines can’t crawl a video like they can a text-based web page, so you’ve got to give them a little extra help. Use a couple of keywords in the title of your videoand be sure that it matches the title tag of the page. Also be sure to submit a video sitemap just like you would an XML sitemap. This creates an index of the videos on your site, making it easier for Google to find them. If you’re using WordPress, there are a number of plugins that make it easy to create video sitemaps. Create your video title to engage users while keeping in mind the SEO aspect. Use keywords in the video description, title and keyword tags. Include a link in your description of the video back to your site. You will not get SEO link juice, but you will get referral traffic. Share your video on YouTube and post it on your website. Remember to keep your titles SEO- and social media–friendly. Include a transcript of all your videos when posting them on your website. This process can be manual, but in the long term, it will help your SEO. Nick Shin, online marketing strategist. 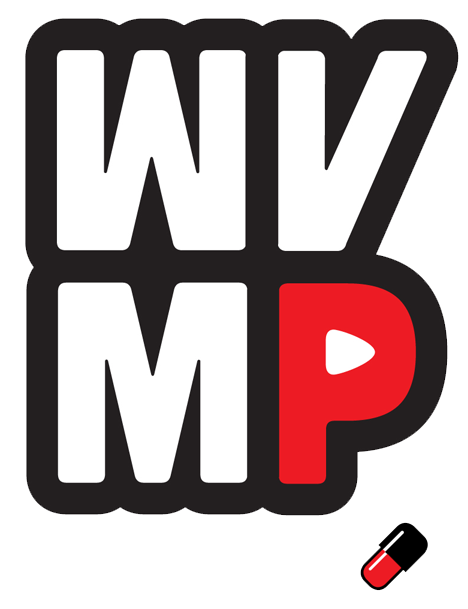 As you integrate videos into your marketing plan, don’t make the mistake of thinking YouTube is the only game in town. While it is considered the second-biggest search engine on the web, you have many other avenues for getting your videos in front of your target audience. To extend your visibility and tap into millions of potential viewers, add a video podcast to your syndication tactics. ITunes has 160 million users in 23 countries, so adding your video podcast to their directory should be at the top of your list. You must have a web host for your video files and create a podcast feed. Then, submit that feed to the iTunes store for approval and listing in their directory. Check out Podbean.com for free podcast hosting and publishing. To get the best exposure on iTunes, create an eye-catching graphic and a keyword-rich description that will attract and entice users to subscribe.